Functional Classes for Functional Fitness. 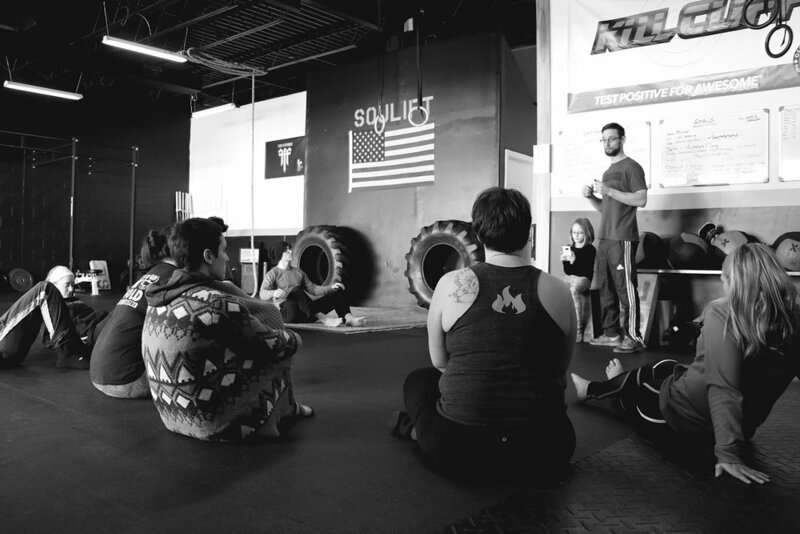 SOULIFT offers group training sessions, personal training, community led activities like workshops, nutritional coaching programs, and much more. Our flagship program has all the benefits of Personal Training without the price tag. We give you everything you need to succeed in your mission, whatever that may be. All Semi-Private sessions are limited to 10 people. Personal training can provide you with sessions focused on your specific needs and goals. All of our coaches are available for personal training. Together you will establish an individualized plan for your success. Book your free No Sweat Consultation and let us help determine what past best fits you and your goals. Online or In Person Nutrition Coaching. Our Nutrition coaching specializes in taking complex nutritional problems and breaking them down into small, strategic daily practices—small practices that are designed to fit into a busy lifestyle. The program is for men and women who want to get in the best shape of their lives—for the rest of their lives. It’s for people with busy schedules who want personal accountability, a structured nutrition program to follow, and a coach to help keep them consistent and on-track. The main focus of the program is to strategically help you improve your eating and exercise habits—all within the context of your day-to-day life. We don’t give you a crazy diet or exercise program to follow; instead, we help our clients build the habits they need to get results that last forever. In Home, Online Distance Coaching & Programming, and more. Do you prefer 1 on 1 training? At SOULIFT Fitness we understand that group training isn’t for everyone. Maybe you prefer to work solely with a trainer, master your skills, need a little extra help with mobility or you want to get serious about your fat loss then true personal training might be the option for you. Price varies according to schedule, distance, goal and trainer. Please contact us for more info. Private instruction in your home. Individualized programming specifically for you and your goal. We take out the guess work so you can be more efficient in getting the results you want. No matter where you are in the world, you can experience SouLift in your home or in your current gym with our fitness program and nutrition guidance. Want SouLift to come to you with a program specifically designed for you and your friends? Bridal Party? Prom? No less than 30 calendar day program.